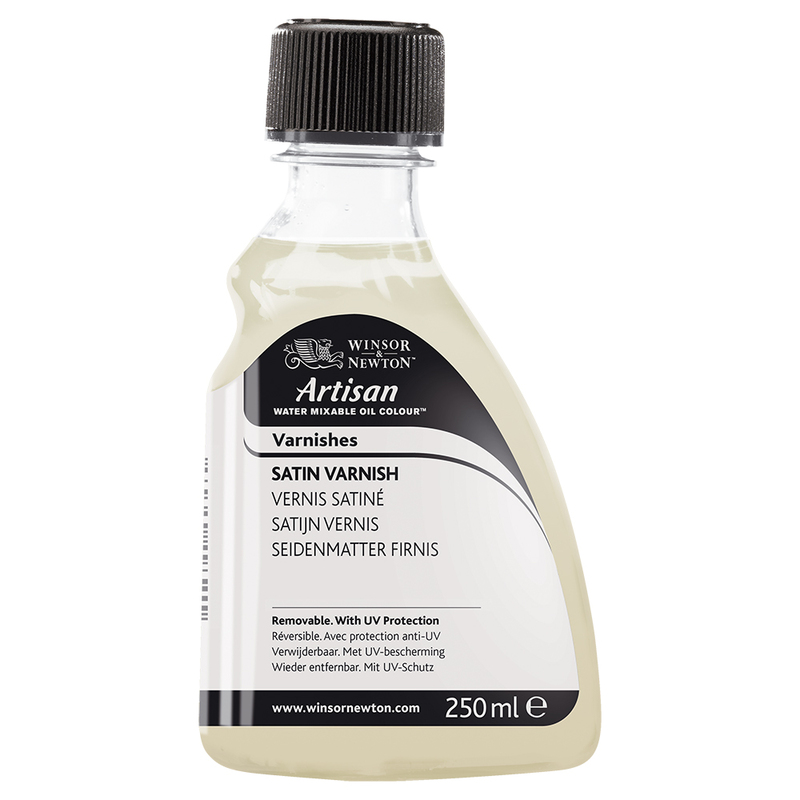 Artisan Satin Varnish is a water based varnish which does not contain any hazardous solvents. The varnish provides finished paintings protection from dirt and grease and when dirty itself, can be removed with Artisan Varnish Remover. Artisan paintings should be allowed to dry completely before varnishing at least 6-12 months for thing films, longer for impasto paintings. Varnishes should not be used within the paintings as mediums. 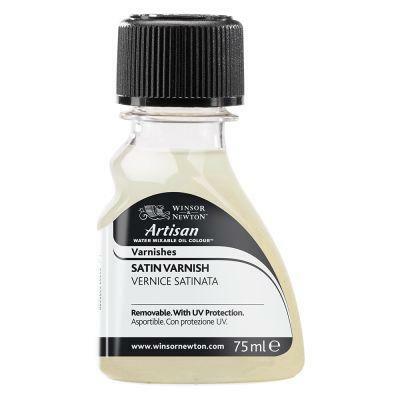 Satin Varnish should not be used on over absorbent or damaged paint films. Stir well before use. 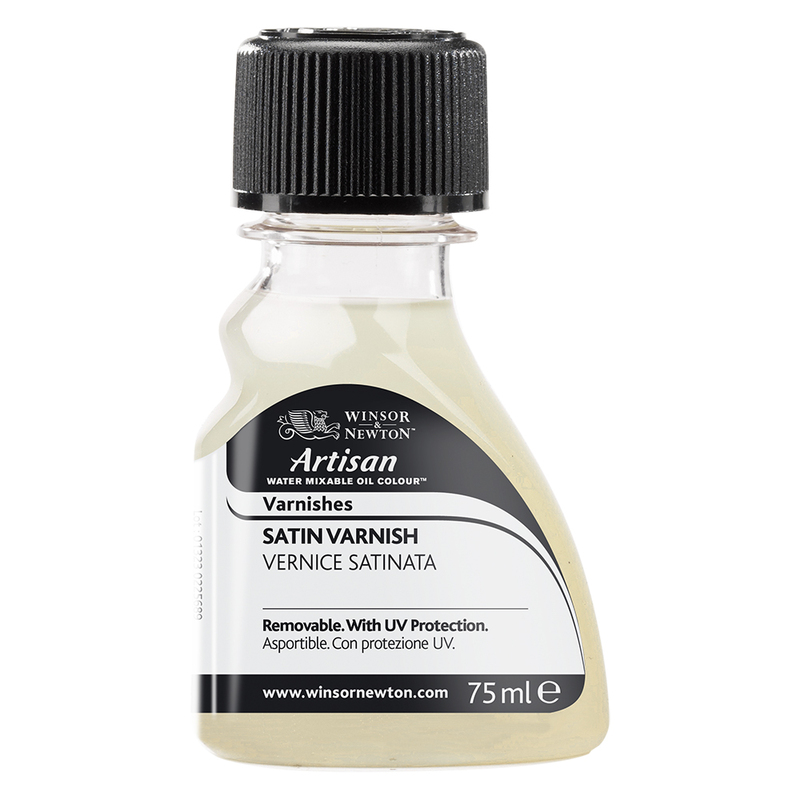 Satin Varnish may be applied over Gloss Varnish. This product is suitable for shipping outside the UK and can be used with regular oils as well as Artisan watermixable Oils.